Okay. I went to dinner Friday night with my sisters and their husbands. When I picked my little sister up she quickly said she had a bone to pick with me. She went on to tell me what since Dad isn’t here – she has to be the one to tell me that I need to get going with the blog. He always offered me a little push when life got busy and she was doing the same. SO, here I am. And honestly, every time I have tried to write something it has been totally depressing. And I don’t want this to be a place that brings anyone down BUT I also have always said that this blog is me 100%. A totally honest and true place. I’ve just been having a VERY hard time about Dad the last few weeks. I had my birthday several days ago and the days leading up were a few of the toughest I’ve had. Thinking about getting older without him just destroys me because that’s not what I want. I don’t want to get older without my best friend. Without my Dad. The day was really really tough but hearing from a couple of my Dad’s friends on my birthday really helped. One of them wrote me the kindest email and talked about “the day Bob left us….”. The term “us” when referencing my Dad leaving made me feel so comforted. Like I wasn’t alone in my missing him. Another one of his friends dropped off such beautiful flowers with a kind note. He called and left me a voicemail and it just felt like something Dad would do. And Valentine’s Day. Another hard holiday. Dad always told us girls that no matter what – he would always be our valentine. And he was. 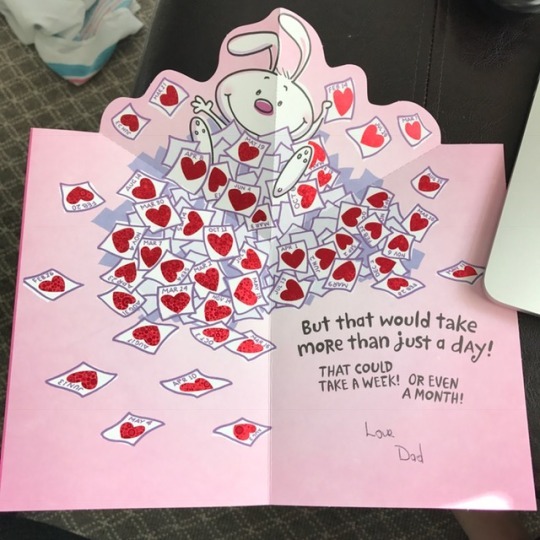 Every single year…no matter if we were living at home, or in college, or in another state – we would somehow get a box of chocolates and a card. He never missed it. 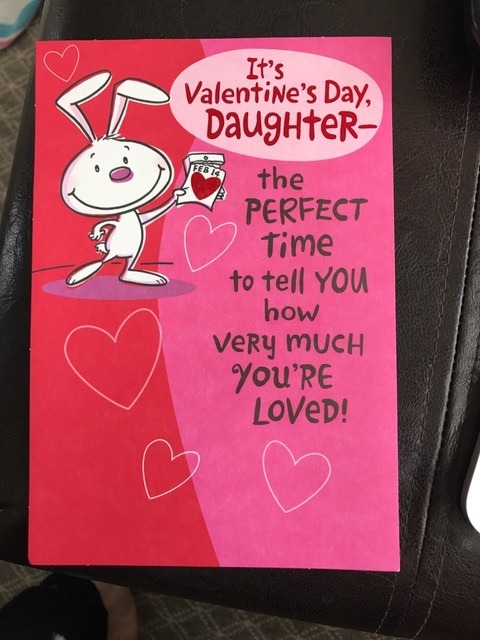 Every year after we each got married he would say “now you officially have your valentine so you don’t need me anymore” but every year I would walk out to my car in the morning to head to work and there it was – a box of chocolates and a card. Every single year. Although the last couple of weeks have been a struggle, I’m feeling a little better. I’ll never feel 100% but I can at least talk (and type) about it without totally breaking down. Dad would want me to continue. Continue to power through, continue in my positive way, continue to put one foot in front of the other. And I will because I know that is something I can do to make him proud.